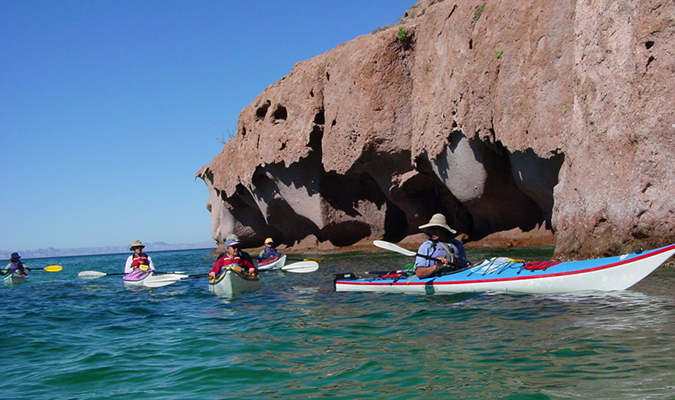 The Sea Turtles and Whale Watching Adventure in Baja California explores the protected lagoons of the Pacific Ocean and Sea of Cortez, allowing for magnificent encounters with marine wildlife. 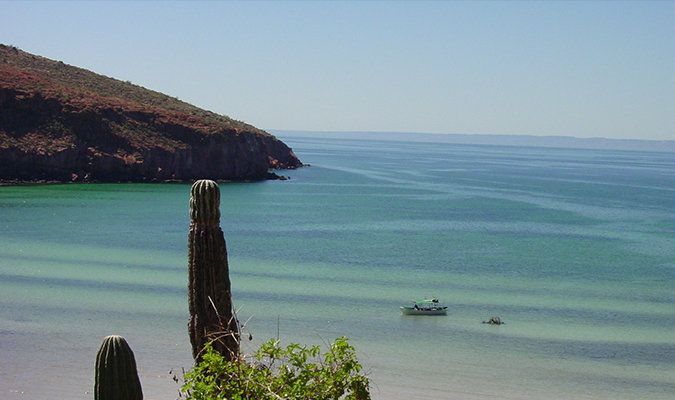 This trip is an off-the-beaten-path adventure that visits both the Pacific Ocean and Sea of Cortez coastlines of Baja California, Mexico. 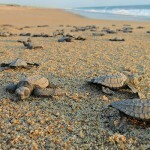 Check out the spectacular sample itinerary and join us for a close encounter of the turtle kind! The tour combines Journey Mexico’s signature high quality tours with the internationally recognized work of the Groupo Tortuguero to create a meaningful experience for both our guests and the communities and environments they visit! 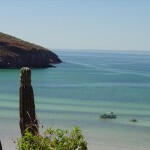 Upon arrival to airport, you will be privately transferred to your hotel in La Paz. 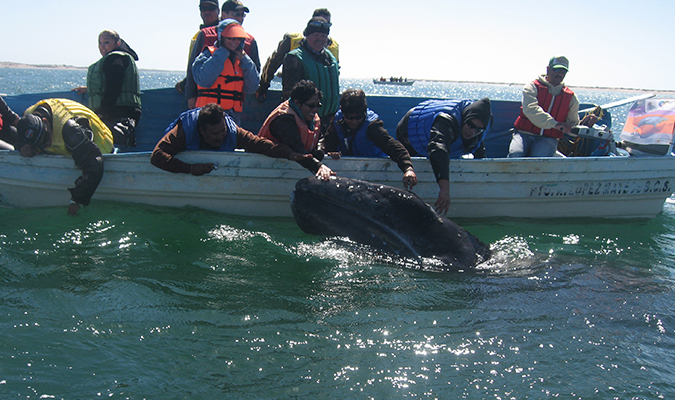 Depart from La Paz early in the morning and head to Magdalena Bay, the jewel of the Pacific and home to a staggering number of migratory and marine birds, sea turtles, and marine mammals including the migratory gray whales. Breakfast will be provided en route at one of our favorite local ranchos. Settle into the secluded island camp and after happy hour, learn about the important sea turtle restoration project which will be the focus of tomorrow’s activities. 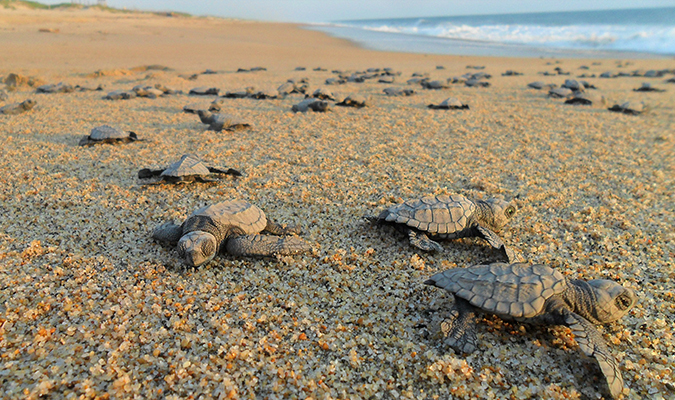 Get a good night’s rest, tomorrow you search for turtles. Wake up early and grab a cup of coffee and watch the fisher-conservationists prepare the nets used in the sea turtle monitoring. During breakfast you will learn about the monitoring protocol and participate in data collection. 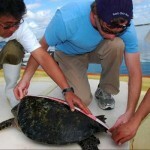 Every two hours you will have the chance to accompany the monitoring team in pangas to check the nets for turtles. 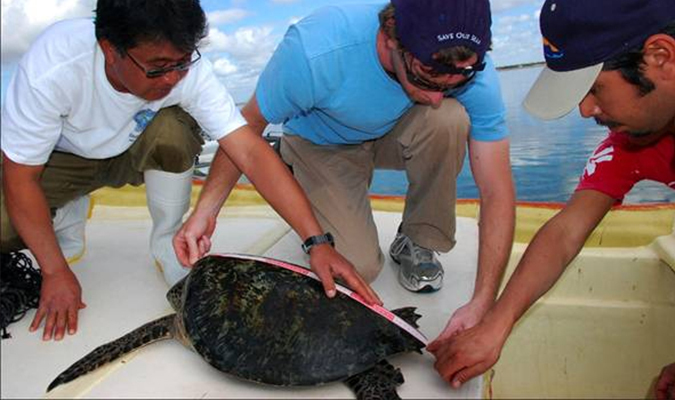 Captured sea turtles will be transported to camp where we will help take measurements and other important data before releasing them back into the wild. After dinner, take in the stars in a night sky that never disappoints. Today you will learn about the gray whales, their incredible migration, and the importance of Magdalena Bay for breeding and calving to these magnificent creatures. 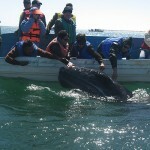 After a brief orientation, you will board the pangas and head out in search of gray whales. 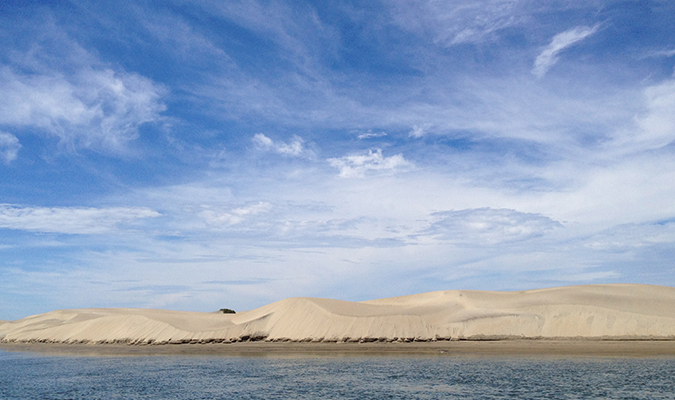 In the afternoon, explore the magic of the greater Magdalena Bay complex, it’s vast, rolling sand dunes and winding mangrove canals teeming with birdlife. Budding chefs can pop into the kitchen for a class on regional cuisine before dinner. Sit by the fire tonight and swap stories with your fisher guides and learn about the crucial role they play in conserving the natural resources of Magdalena Bay by combining tourism with conservation. 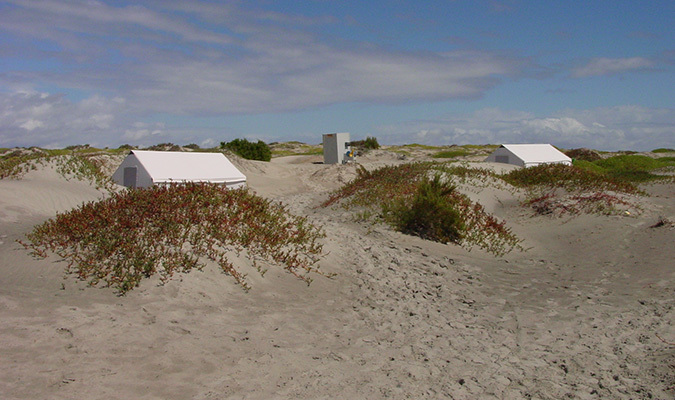 In the morning, walk down to the beach to learn artisanal fishing techniques from local fishermen. We will bid farewell to our hosts and head out in the search for whales. Make sure your camera is handy to capture images of these magnificent giants. 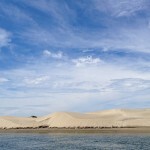 After a picnic lunch on a secluded barrier island, we start back for La Paz where the journey concludes. 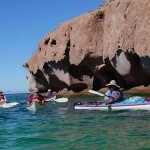 Today sea kayak or snorkel at Espiritu Santo Island. Along the way, your expert guide will provide an orientation to provide beginners with important information on safety and the basics of operating a sea kayak. Hop into the turquoise waters to paddle beneath volcanic cliffs until lunchtime, when a beach picnic awaits. 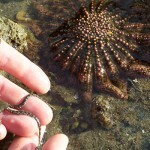 A natural history walk follows and a ride to a sea lion island colony. There is no thrill like swimming and snorkeling among sea lions in the wild. Return to your elegantly appointed B&B in La Paz for the evening. Looming up above the desert just north of Los Cabos, the lush Sierra de la Laguna Biosphere Reserve provides the perfect escape from hotels and tourists. 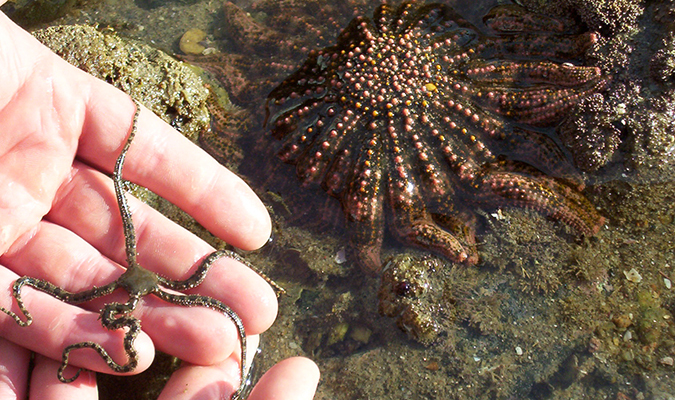 Your local naturalist guide will meet you with his jeep at your hotel after breakfast. En route to the Sierra you will learn about the natural history of the region and the ranchero culture that has kept alive centuries old artisanal traditions. Spend the day hiking the nature trails, swimming in the freshwater springs, and getting a look at local ranchero life. You will be back in your hotel for dinner with photos and amazing memories to share. After breakfast, your driver will meet you for a private transfer to La Paz International Airport. Our custom-tailored journeys start from $800 USD per day for two travelers. Contact us today to discuss your travel desires and design a personalized proposal with exact pricing. 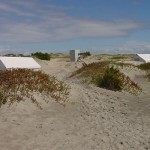 Private and shared camping experience available.